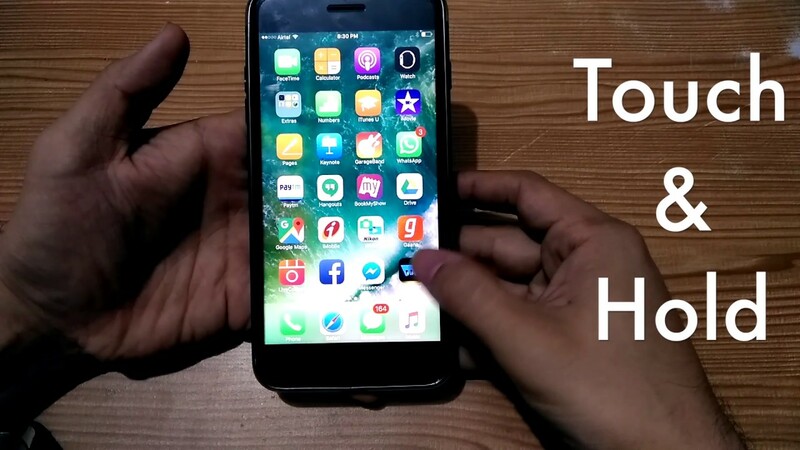 If you are confused by the 3D touch in iOS 10 or may be you are newbie that don’t know how to delete apps on iPhone 7 then you should follow the steps below. Although this is the old technique of deleting apps on iPhone but due to 3D touch you have to press the app icon gently. Its more like touching the app for few moments and the cross sign (“X”) will appear. Click on the “X” mark and you will be able to delete the app. By simply going to the path Setting > General > Storage & iCloud Usage > Manage Storage under Storage. Open any app from here that you want to delete. You will see a Delete App option on the bottom of screen. Both the methods are given in the video I have made for you, just go through it and you will be able to delete apps on your iPhone quickly.